Portland offers a new frontier to explore. Hey all! 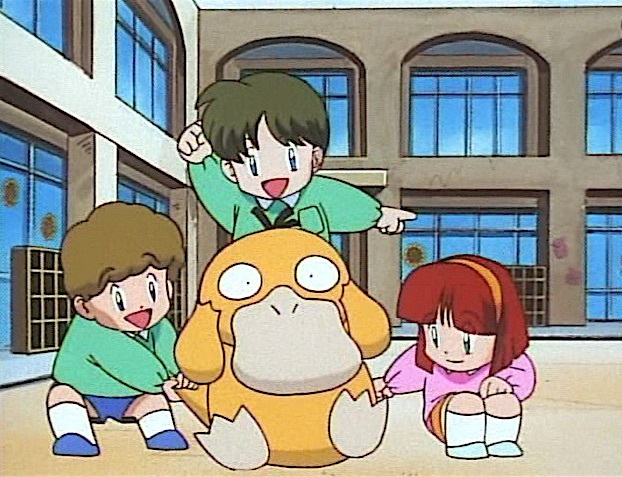 I’m back with my next article about the Junior/Senior divisions’ metagame. I’ve gotten a ton of great feedback in the weeks since the inaugural piece and I’m hoping to incorporate some of that into today’s article. It seems like there’s a bit of a gap in coverage as it pertains to the younger divisions, and I’m glad I can help with that. Today, we’ll be sticking pretty close to the same structure that the first article laid out. I only really have the Top 8 from St. Louis and the other Expanded Regionals to look at, but I’m hoping to take some notes on the younger division decks as a whole at the next Regionals I can attend. This way, we can get a more accurate picture on the totality of what’s being played in Juniors and Seniors — not just what’s winning. Juniors Top 8 decklists for San Jose and St. Louis can be found at the preceding links. The card pool is giant. There are so many viable decks, with plenty of tech options. Junior players typically play their favorite decks. Even if something isn’t “viable” in Masters, Juniors are more likely to stick with it tournament after tournament. So, it’s safe to say that there probably isn’t a catch-all deck to play in Juniors. Playing something that is hard hitting and consistent is probably the best way to go. Performing well is going to come down to matchups almost exclusively, as well as who can draw the best. If I was the parent of a Junior, I’d try to get them as comfortable as possible with 1 or 2 decks. Switching decks a lot doesn’t seem to be too beneficial for younger players. For that reason, I’d be giving my Junior a Decidueye/Vileplume deck to play with for the foreseeable future. The deck is fairly consistent, hits hard, locks the opponent out of the game, and can be played in both Standard and Expanded with little changes. 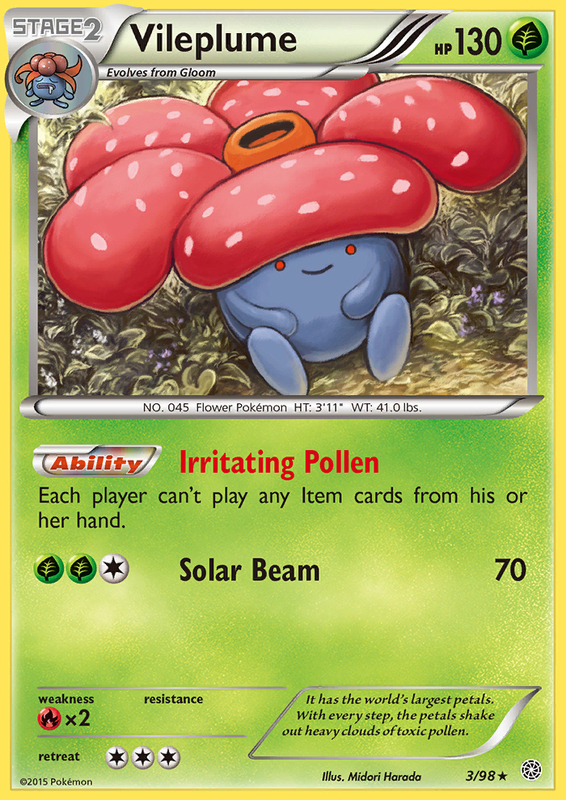 Any Vileplume deck is inherently (at least slightly) difficult to play. You have to make sure to play your Item cards in the correct sequence to get out Vileplume and try to burn them as you get the chance to use them. I would want to have my Junior player practice a lot with the deck before they took it to a major tournament. As far as a list, there are a ton out there to choose from. John Kettler took 2nd place at the St. Louis Regionals in the Masters division with the deck with a fine list. Personally, I’d be trying to make room for 2–3 Battle Compressor and maybe a 3rd Revitalizer if I was preparing for an Expanded event. However, it might be better for a Junior player to just stick with a Standard format-compatible list that they can know inside and out for all events. There are a lot of ways to play the deck in Standard; check out all four slightly different lists from the Melbourne Internationals. If your Junior is uncomfortable with Vileplume, I’d suggest Volcanion-EX since it’s hard hitting, consistent, and has relatively good matchups across the board. Jimmy McClure did a write-up on the deck earlier this month; check it out if you’re interested. Seniors Top 8 decklists for San Jose and St. Louis can be found at the preceding links. Similar to the Junior division, there wasn’t a noticeable trend between tournaments in Expanded. Rainbow Road, a deck we don’t see much of in the Masters division, was the most successful deck in terms of Top 8 finishes across the 2 tournaments. It’s a deck that can really overwhelm an unprepared opponent, and my guess is that some top Senior players are capitalizing on the skill gap they enjoy over their opponents to capture wins. The success of Rainbow Road also tells me that Item lock isn’t a huge part of the Senior metagame. I made a splash in St. Louis. Scary, right? 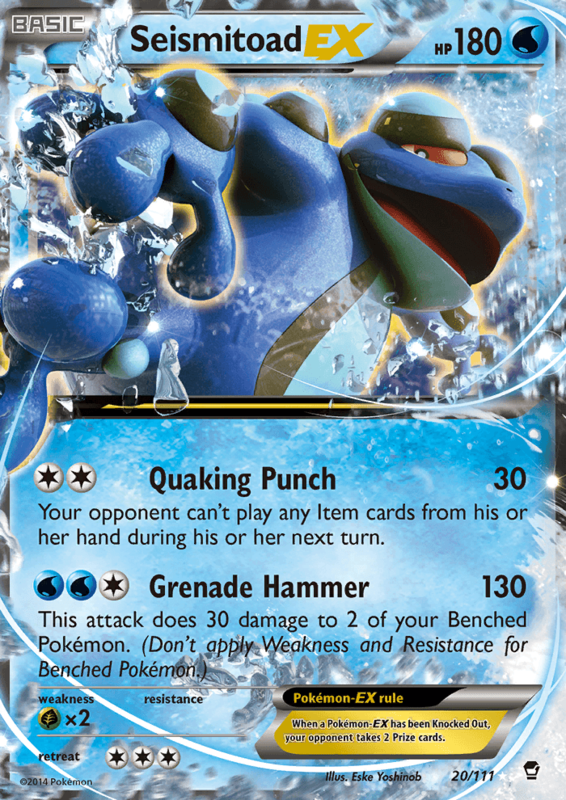 Dedicated Seismitoad-EX decks picked up steam in the Senior division in St. Louis, taking both 1st and 2nd at the event. If I were a Senior, I’d stay away from decks like Rainbow Road and Volcanion in Portland because of those results. Also, the Carbink deck that made Top 8 was a great call for St. Louis, but it will probably fall out of viability if the metagame shifts towards Grass Pokémon as I expect. There also doesn’t seem to be much, if any, Yveltal-EX being played in Seniors. I think this is partially due to top players’ efforts to beat it (instead of playing it themselves). This could also show that Seniors are less interested in following the Masters metagame than Junior players are. Keep an eye on that trend in the coming months to see if it continues. Grass decks seem especially well positioned in Seniors right now. Volcanion should drop out of favor since Seismitoad was so big in St. Louis and there aren’t a lot of other unfavorable matchups. Once again, I think Decidueye/Vileplume could be a good call, as it deals incredibly well with Seismitoad and the metagame at large (M Gardevoir, Rainbow Road, etc). See the above Junior section for some list recommendations. Another Grass deck that could be strong is Lurantis/Vileplume. Ross Cawthon piloted this list to a Top 8 finish in St. Louis and it’s incredibly well optimized. I really like the Battle Compressor/Revitalizer engine he ran; it’s very conducive to getting out a quick Vileplume. The deck is also pretty easy to play so it’s a great pick for a younger Senior player who has just aged up from Juniors. 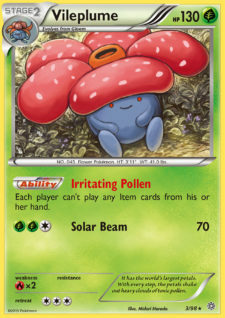 You might not have amazing matchups across the board, but the presence of Vileplume makes almost any game winnable. If you don’t think Grass is the best way to go, an Yveltal deck would be my other suggestion. It has good matchups across the board so a talented player can take it far into a tournament. Seismitoad should scare away the problem matchups of Rainbow Road and Volcanion so it could be a great time to pick up Dark in Seniors. Mike Fouchet touched on two Yveltal builds in his last article, both with very good starting lists. Maxie’s Yveltal is the tried and true version, and would be best to counter the M Gardevoir that has seen play. 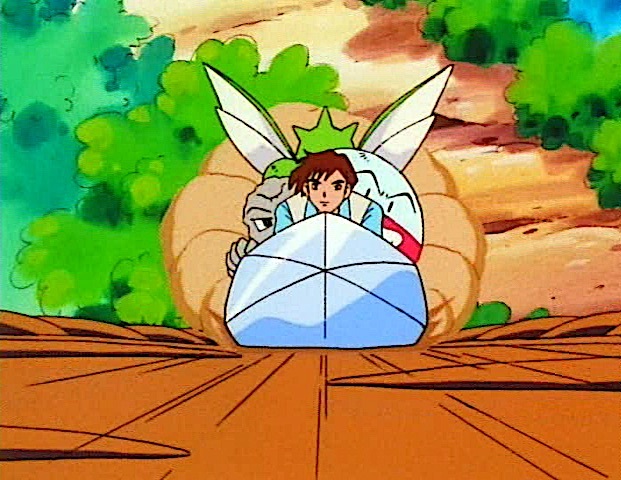 However, there don’t seem to be a lot of other Evolutions in the Senior metagame that you need to worry about, so the list that Mike discusses without a Maxie’s engine could also see a lot of success. The Expanded format is quite the conundrum. That’s it for today’s quick Expanded primer. In the future, we’re going to get these articles out further in advance of the concerned event. This was one of the primary concerns from parents when I was soliciting feedback, since they need extra time to get their younger players prepared with a deck. I’m shooting for a week and a half before a major event, so players can test a deck out on the weekend at League or other local tournaments. As always, please send me any feedback you have. I’d love to hear about how I can better gear this content towards parents and younger players. One quick note before I go: I tend to close my articles with an invitation to talk with me at a tournament if you see me. Some parents have told me that they typically don’t like to “bother” players at tournaments. I can’t speak for everyone, but myself and most players I know would love to take a minute to chat about your kids, deck choices, tournament reports, real life, anything! There are some exceptions, of course, such as after a tough loss, at the end of a tournament, or when we’re trying to get food; but those aside, please feel free to reach out. This game is all about the community and the interactions we have with the people in it! Good luck to everyone competing in Portland!